The internet is big. It is not unusual now and then to come across an article that basically goes like “We don’t understand this new feature / option in this… Continue reading "Innovation Vs Unhappy Users…one more thing about UX"
This is a website where one can buy Greek goods. 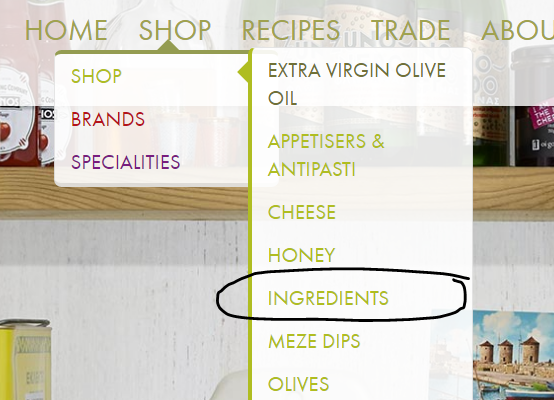 Among other categories, one can now buy ingredients. You can, if you only knew what that is. Good luck finding… Continue reading "Easy navigation as a basic ingredient"